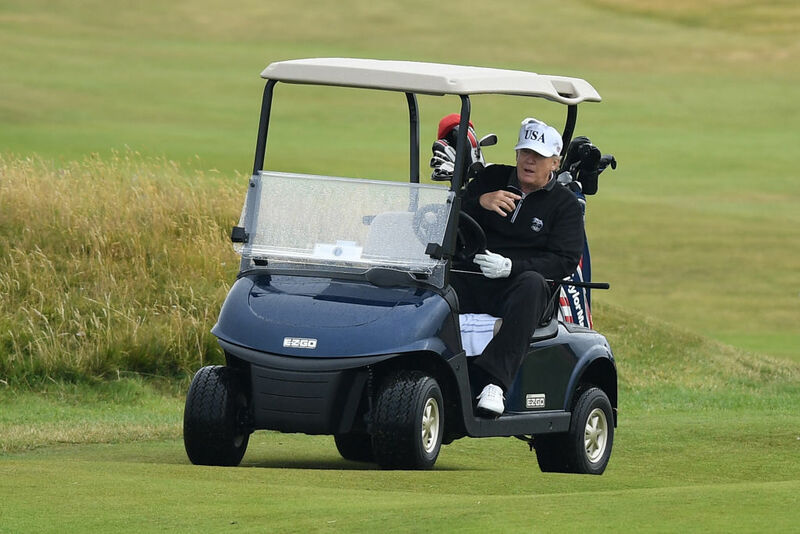 A caravan park close to Donald Trump’s luxury Turnberry golf resort in South Ayrshire could change its name due to “negative” associations with the US President. Turnberry Holiday Park has canvassed the opinions of more than 1,000 people and found 32% were less likely to visit it due to its name. Donald Trump bought the nearby luxury Turnberry golf resort in 2014 and visited there in 2016 after it had a £200 million refurbishment. It has run up four successive years of multimillion-pound losses. Mr Trump was met with protests - including a paraglider who flew close to the President - when he returned to Trump Turberry in July this year. Now Andrew Howe, chief executive of Bridge Leisure Parks, said they are looking into changing the name of their South Ayrshire business due to apparent negative connotations the name now has. He said: "We're canvassing opinion, there's no doubt there's a negative element because of the Donald. "We did a bit of a survey where we asked would it put them off and definitely a reasonable response was it had. "It's a competitive marketplace, we're worrying about doing anything which might put people off. He added a decision was likely to be reached within the next couple of weeks. Mr Trump resigned as director of the golf resort in January 2017 after becoming US president, as did his daughter Ivanka. His sons Eric and Donald Junior remain in their positions.